the daylight is natural sunlight. Such as in a sunny day,it like the morning and the nightfall sun,the color is a little warm. That's 4000K color temperature.If the sun in noon, the color is a little cool white, and that's 6000K color temperature. 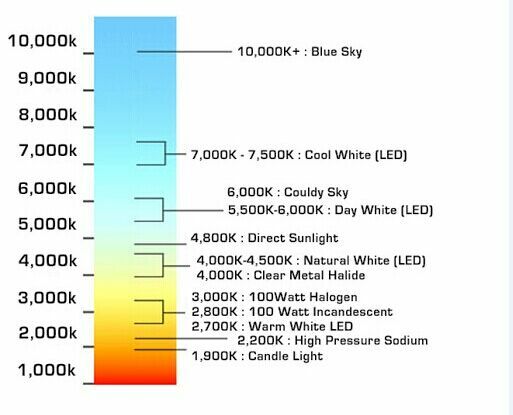 Below is the image for color temperature value for your reference.